Fan Coil controller. 2 pipes. 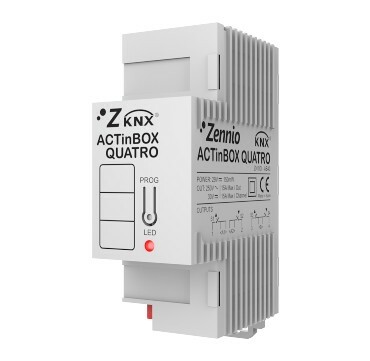 The Fan Coil controller is based on the ZN1IO-AB40 actuator, and it is designed to be used with 2 pipes, 3 fan speed Fan Coil units. A dedicated application offers a huge number of configuration possibilities, and this functionality is complemented with an independent logic functions module.